To encourage citizen involvement and community actions in increasing public awareness on election issues and encourage citizen journalism, the Student Services and Alumni Affairs partnered with ABS-CBN in the conduct of “Bayan Mo, iPatrol Mo” voter education campaign. 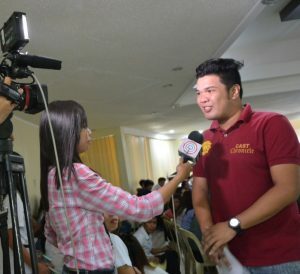 The said program included an overview of the 2016 Philippine elections, election laws, campaign finance, campaign gimmicks, reading surveys and citizen journalism held at the AVR of PSU Main last April 19. “Bayan Mo, iPatrol Mo” voter education program is a citizen journalism platform of ABS-CBN that aims to encourage students to be involved and vigilant in monitoring the May 9 elections and use their right of suffrage thru promoting responsible journalism. The Accrediting Agency for Chartered Colleges and Universities (AACCUP) has conducted Preliminary Survey Visit (PSV) to the 10 curricular programs of the following campuses on April 12-13, 2016. Under the scorching heat of the sun, trooped like mutant ninja turtles ready for battle, the Reserve Officer Training Corps (ROTC) cadets and cadettes executed the military drills before the vigilant RAATI evaluation team wherein the Lingayen-Binmaley-Alaminos ROTC Unit emerged victorious after bagging the 2nd runner up spot in the Regional Annual Administrative and Tactical Inspection (RAATI) last March 29 held at the Athletic field of PSU Lingayen. Furthermore, the PSU Lingayen-Binmaley-Alaminos ROTC unit brought home the following awards: Best in Map Reading, Best in Military Courtesy and Discipline, Best in Marching Band, and Best in Assistant Commandants Briefing. 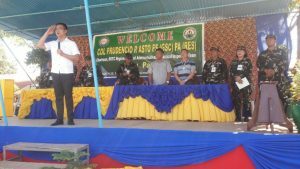 Moreover, the PSU Lingayen-Binmaley-Alaminos ROTC unit promised to improve their over-all ranking and their individual awards next year. 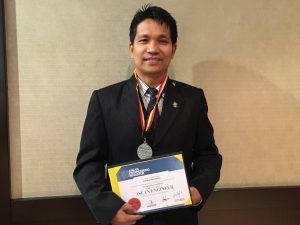 An alumnus of PSU had not only created a name in the elite group of ASEAN Engineers and ASEAN Chartered Professional Engineers (ACPE) but also left a legacy in being an inspiration to his fellow EE students, community and country. From being one of the notable alumni of the Electrical Engineering program, Engr. Edgar B. Bernardino had yet attained another milestone. A graduate of PSU-Urdaneta in 1992, Bernardino reiterated how PSU contributed a big part in achieving his success. PSU President Dr. Dexter R. Buted, VP for Academic and Research Dr. Gloria Domantay, VP for Finance and Resource Generation Mrs. Maria Corazon Puzon, Director for Income Generating Projects Dr. Honorio Cascolan and researchers attended the Higher Education Summit on Academe-Industry-LGU Linkage for Coffee at Benguet State University in Baguio. The three-day seminar was also participated by several state universities in Region 1 wherein resource speakers in the Philippines believed that the coffee industry can reduce poverty (Brillantes 2016, Tabanda, and Fongwan, 2016) and ensure food security (R. Rodolfo and Saguibo, 2016). Several agencies present during the summit included Regional Development Council (RDC), DOST, CAPE, DENR, LANDBANK and the SUCs who were the key implementers of the coffee programs to support the region’s Coffee Development Plan. 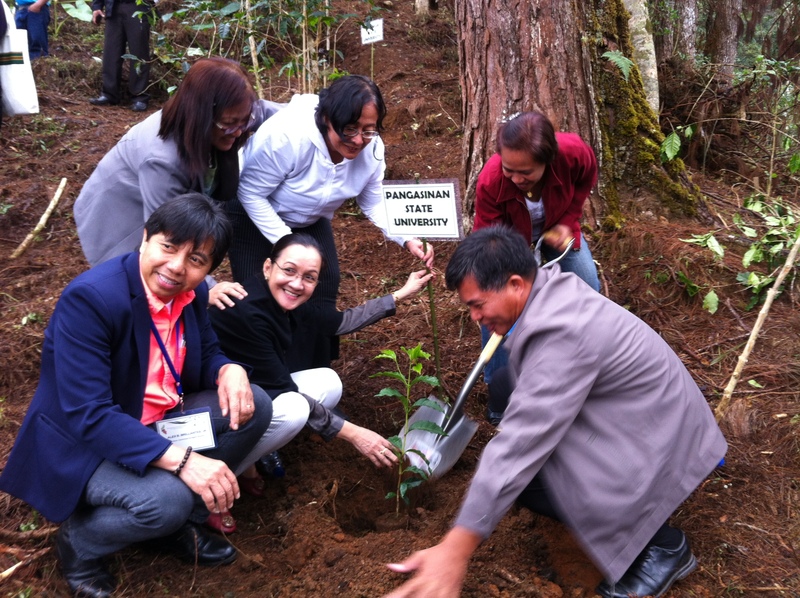 The academe agreed to use their expertise and their resources for research to generate knowledge about coffee.